Located in Ensenada, Baja California, Mexico. The site fronts on Lazar Cardenas (Federal Highway 1), which runs parallel to the Pacific Ocean to the west. Three distinct elements, the eagle, the snake and nopal, on which the eagle stands, represent Mexico coat of arms. Conceptually, the Deli-Loop was conceived as three separate programmatic elements yet all under one roof. The three programmatic components consist of a Café, a Gourmet Delicatessen and Food Preparation. The delicatessen area houses a wine bar, bakery, deli service and a coffee bar. 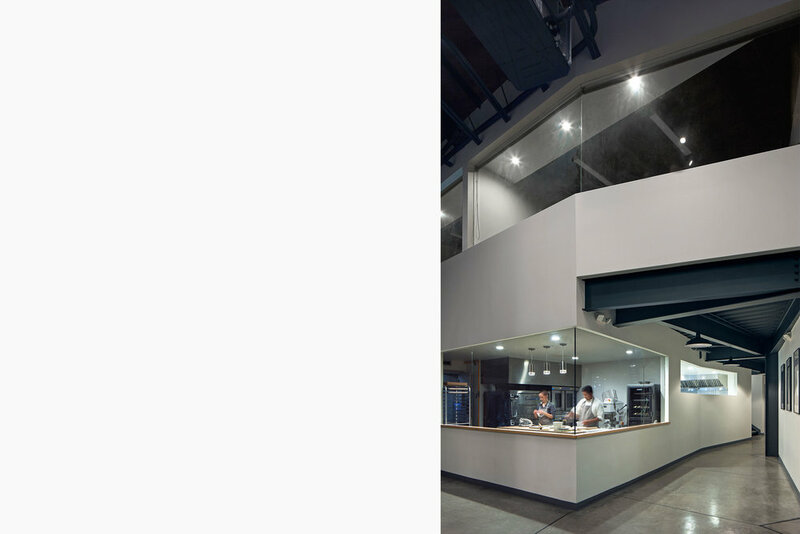 The food preparation area is composed of a bakery and kitchen. The bifurcated building mass is orientated to Lazar Cardenas, while the south facing elevation opens to 50 feet of glazing providing the main entry to the building. Bicycle parking and an outdoor waiting area are conveniently located to the entry. Ensenada touts a mild climate during the winter and hot weather with cool onshore breezes during summer months. The street facing façade open to the ocean and operable skylights allow for natural ventilation of the entire building. During the daylight hours artificial lighting is not necessary. Indigenous building materials were used to minimize out sourcing and importing. 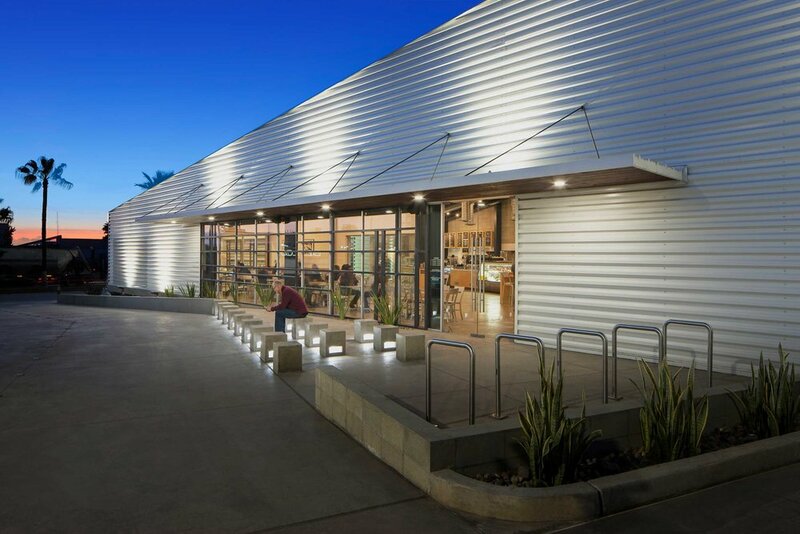 The exterior white metal clad walls and roof were used to reflect summer sun. 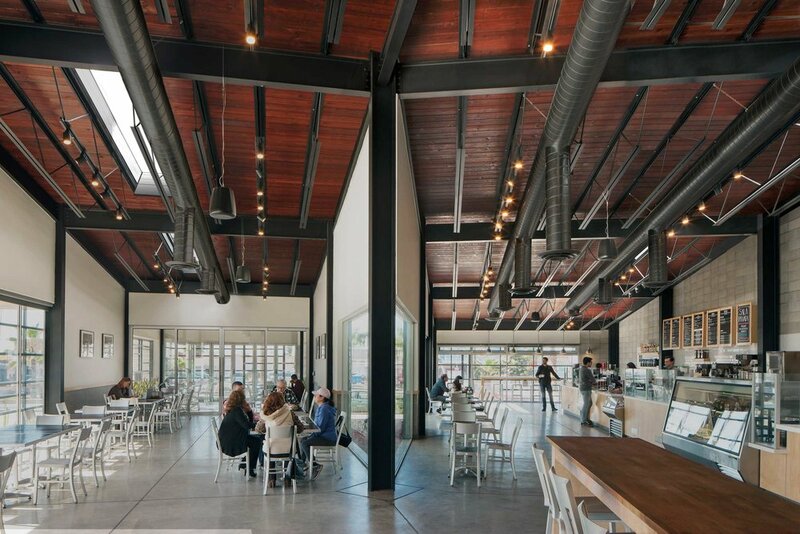 Passive and active solar design strategies render the building energy neutral. Recycled, renewable, and high performance materials and products were specified throughout. The building is equipped with water-saving dual flush toilets and tankless water heaters. Reclaimed water is used for toilets and non-potable water uses.